When 2016 began, you needed to own an Xbox One to enjoy most of the benefits of Xbox gaming. Here at the end of the year, you don’t. That twist arrived with the September launch of Xbox Play Anywhere, a program that ensures that buying a Microsoft-published “Xbox” game now gets you the game on Xbox One and PC for the price of one copy, with seamless save file integration allowing you to hop back and forth between copies. This followed months of efforts by Microsoft to merge Xbox Live services across PC and console, bringing friends lists and achievements to both devices. With a powerful enough PC, you could be unlocking Achievements in major 2016 Xbox releases like Gears of War 4 and Forza Horizon 3 without owning an Xbox One. The introduction of the Play Anywhere program redefined the Xbox One as a cheaper alternative to a gaming PC. It’s a great system for controller-based games that goes for a grand less than a top of the line PC. Yet perhaps counterintuitively, Microsoft plans to sell a much more powerful Xbox a year from now. The Xbox One has dramatically improved since its 2013 launch thanks to numerous firmware improvements that sped it up, improved its store and added backwards compatibility to Xbox 360 games. But the machine remained awkwardly bulky until the introduction this year of the slimmer, white Xbox One S. The new model doesn’t have an external power brick and can be positioned vertically with the help of a stand. The Xbox One S is a better model than the launch console and is certainly the better option for new console owners, but it has not been a necessary replacement for those who already had an Xbox One. It does very little to improve the functionality of Xbox One, save letting some titles output HDR graphics to high-end TVs that can display that color and lighting technology. Its support for 4K Blu-Rays may be useful for video aficionados and for those who want to snark that the new PlayStation Pro can’t play those discs. Microsoft makes Xbox One S consoles with 500GB, 1TB or 2TB drives, selling them for $300-$400 (take $50 off during most of this December). 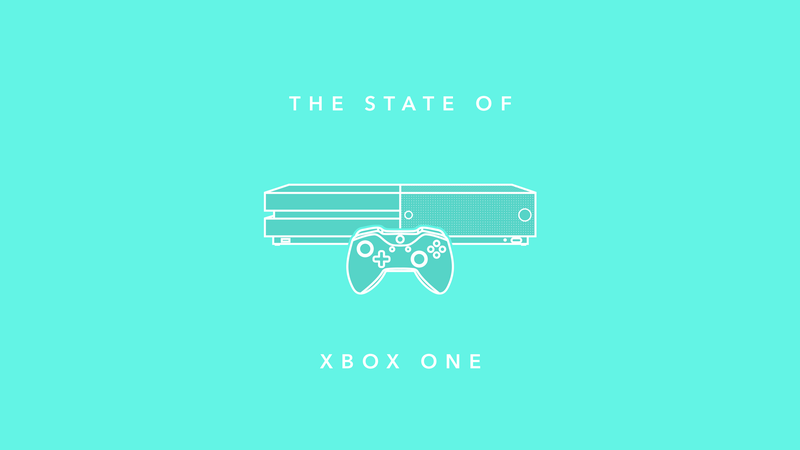 The Xbox One has been in a firmware arms race with Sony all generation, to the benefit of owners of both platforms. Features like a mid-game suspend mode that were once just on Xbox One are now also on PS4. But Xbox One still has some good quality-of-life advantages, including an indicator for download speeds and a more prominent display of system storage capacity, both of which help with managing digital games. This year, the Xbox One added numerous small perks like group messaging and a system for tracking Achievement rarity (replete with a new sound effect when obtaining a rare one). Microsoft improved voice commands for the console this year by integrating the Cortana system from Windows 10, though the more limited “Xbox do something” commands remain a backup option. They also added user reviews to the system’s online store, though that feature can be easily exploited. The most interesting changes to the system software are so new that they’re too early to judge. In November, Microsoft started letting system owners form online clubs that’ll make finding like-minded gamers easier. They also introduced a “looking for group” matchmaking option that lets you post requests for people to play games with you, though some players have complained that the feature is too deeply buried in the system that most players are unaware of it. Back in June, Microsoft talked big about the addition of an esports hub called Arena, but it was recently delayed and remains only available to users of the Xbox One Preview program. Arena is intended to let Xbox One owners easily sign up for and play competitive games in tournaments for featured games like Killer Instinct and various EA games. Xbox Live remains pretty reliable and holds up well for streaming and downloading. EA continues its $30/year EA access program on Xbox One, with a similar program running on PC but not on PS4. Most EA releases still get early, time-limited releases on the system, meaning that Xbox One owners have been able to get to games such as Mirror’s Edge Catalyst and Battlefield 1 a day or two before their official release, but time limits on those early releases fluctuates from 10 generous hours to sometimes as little as six. EA continues to put most of its big releases in the “Vault” part of the program, which winds up giving subscribers access to games like Star Wars Battlefront at no added cost (unless you want the DLC). EA added Mirror’s Edge Catalyst and UFC2, which were both released in 2016, to the Vault, before the year was up. Titanfall 2, however, has been absent from the service altogether and didn’t even get a timed demo through Access. Microsoft has been able to secure timed console exclusives on DLC for The Division but its most surprising console-war advantage emerged this year with the launch of mod support for Fallout 4 and Skyrim. The games’ publisher, Bethesda, has released very limited mod support for those games on PS4, seemingly due to technical and/or approval issues, giving Xbox One users a clear advantage in the size and number of mods they can use. Microsoft isn’t nearly as prolific a publisher as Nintendo or Sony. It does reliably get games of exceptional quality on its systems, including what might be 2016’s best racing game on any platform, Forza Horizon 3. 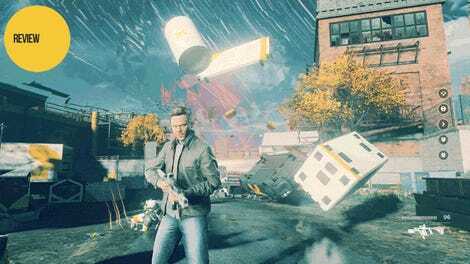 The company’s publishing output was skimpier than it was in 2015, though, and had only one major release in the first half of the year, Quantum Break, a period of the year Microsoft tends to neglect. Quantum Break stands out, though, for being a remarkable engineering achievement that melds chapters of a video game adventure with 24-minute live-action episodes that play out differently depending on what choices you made in the game. Microsoft tried launching a new potential franchise this year with Armature and Comcept’s ReCore, but great character design and some fun gameplay mechanics were hampered by long load-times and a repetitive endgame. Gears of War 4 was well-received and 2015’s Halo 5 got an avalanche of free DLC this year, but it’s hard to shake the feeling that Microsoft’s marquee franchises are getting stale and are generally less exciting than they used to be. This may prove to be more and more of a problem going forward, as Microsoft doesn’t have as rich a back-catalog of franchises to pull from compared to its competitors. The Xbox One got all of 2016’s biggest and best third party releases, including Overwatch, Far Cry Primal, The Division, Hitman, Final Fantasy XV, and FIFA. It got strong indies in 2016, too, including Superhot, Inside, The Witness, and Fru, which will likely be the last good Kinect games (yes, yes, also one of the only good ones). Highlights to the expanding roster of backwards compatible Xbox 360 games include Red Dead Redemption, Skate 3 and Fallout: New Vegas. Next year will be an odd and eventful one for Xbox and its fans. In June, Microsoft confirmed our reporting and announced that it was preparing a much more powerful version of the Xbox One, code-named Scorpio. The system is set to launch in 2017 and has been positioned by Microsoft as a significant leap in power far greater than that of this year’s iterative PS4 Pro upgrade. Microsoft has said that the Scorpio will run Xbox One games and there’s no indication that the company plans to cut off Xbox One support, treating this more like a gradual smartphone or tablet replacement. Microsoft has downplayed the idea that there would be any Scorpio-exclusive games with the caveat that only the new console is slated to support VR gaming. But it’s hard to imagine that developers, if given that much more horsepower, wouldn’t be tempted to use it for more than just better resolution and framerate. It stands to reason that Microsoft will at some point want to show off what a game designed solely for Scorpio can do, particularly given that thanks to Play Anywhere, those games will also be running on powerful gaming PCs. And what of VR? The Xbox One does not support virtual reality headsets, but Microsoft has partnered with Facebook-owned Oculus to bundle an Xbox One controller with Oculus’ Rift headset. It’d be natural for Scorpio to also run the Rift and, for that matter, the competing HTC Vive. Just don’t hold your breath for it to work (officially) with PlayStation VR. One of 2016’s bigger gaming industry bummers was the shutdown of Microsoft-owned Lionhead Studios and with that, a possible pause on the Fable franchise. Fans waiting for a Rare resurgence might get to see how the multiplayer pirate ship game Sea of Thieves pans out if it makes a 2017 release. Equally intriguing is the return of Crackdown, which had a brilliant debut on Xbox 360 but a lackluster sequel, and the return of the late-generation surprise 360 hit State of Decay with the fittingly titled State of Decay 2. Maybe Cuphead and Below will finally come out next year, too? Oh, and Xbox One will be one of the machines next year that’ll be capable of playing Red Dead Redemption 2, one of the many third-party games that Microsoft will surely want to ensured is optimized extra-well for Scorpio.